Hippocrates said, “Let food be your medicine.” This proposition still works as the guiding principle in the naturopathic approach to nutrition. Like medicines and drugs, foods affect the way our body functions: some foods help you heal, while others damage your cell functioning and contribute to chronic illness. A healthy diet consisting of the right balance of vitamins, minerals, enzymes, anti-oxidants, fibre and amino acids is the most important tool for your body to maintain health and prevent illness. Your naturopathic doctor will ask you to keep a diet diary, which is the first step in helping to identify food allergies, sensitivities, digestive issues, risk for disease associated with diet, and overall diet quality and eating habits. Your ND can then recommend dietary changes to support healthy living and treat any underlying conditions through nutrient-rich foods and nutritional supplements. Homeopathic medicine was founded in the late 1700s by the German physician Samuel Hahnemann and has been widely practiced throughout Europe. It is based on the idea that “like cures like.” If a substance causes a set of symptoms in a healthy person in large doses, the same substance when extremely diluted can cure the illness of a person with the similar symptoms. Made from minute amounts of plant, mineral, or animal substances, homeopathic remedies are designed to stimulate the internal curative process rather than suppress the symptoms. 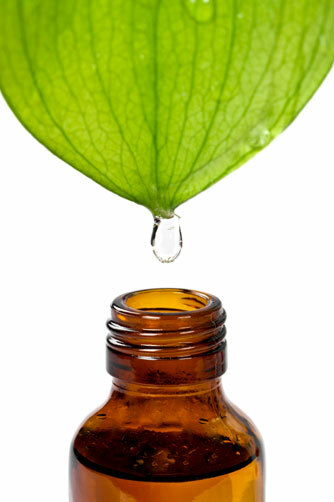 Homeopathic medicine is a truly holistic system of medicine in that mental, emotional and physical symptoms unique to the patient are all taken into consideration to find a remedy that matches the closest to the whole person. In homeopathic medicine, the individuality of experiences in similar situations is highly valued as important and thus individualized treatment is emphasized. During homeopathic consultations, your ND will work with you to understand the totality of your particular symptoms in various areas and find a remedy that matches that totality rather than one or two symptoms. Homeopathic remedies are particularly effective for depression, anxiety, allergies, infections, gynecological concerns, skin conditions, digestive problems, chronic and acute conditions including colds and flu, but not limited to only these. To achieve the best results from your naturopathic treatment, it is essential for you to commit to establish healthy lifestyles that will help you manage stress and keep you healthy over the long term. When you become responsible for your own health and management of your life, you will be able to sustain the balance in life without relying on external treatments. By helping you identify and adjust the habits that contribute to ill health, your ND will work with you towards the optimum and sustainable health. Trained in various counseling and relaxation techniques, your ND can also provide practical stress-management tools for those dealing with chronic stress, depression, fatigue, seasonal affective disorder (SAD), work-related stress, relationship issues, life transitions, and health problems, particularly chronic health problems in conjunction with other naturopathic therapies such as homeopathy. Plants have been used as medicinal substances since the beginning of time in both Eastern and Western traditions. Although not as widely used in the present age, botanical medicines have highly specific therapeutic functions via molecules called “secondary metabolites” which are increasingly being studied by Western research. A well made plant remedy, either as an alcohol extract or as a boiled tea, can often provide gentler methods of healing than conventional medicines while not having as powerful side effects. St. John’s wort’s use for depression and Echinacea’s use in colds are commonly known examples, but the range and functions of plant medicine extends far and wide, being able to help treat both physiological conditions as well as mental/emotional disorders. Although acupuncture is not offered as part of Naturopathic services at Create Wellness Center, there are many hands on therapies that can help to directly balance the subtle energy flow in the “channels” in the body. These include acu-pressure, shiatsu massage, Shonishin (Japanese pediatric non-insertive acupuncture), cupping, moxibustion, ear seeds, and more. These techniques have been time tested for millennia and are both relaxing and invigorating. Using knowledge of the 12 channels and roughly 360 acupuncture points, these techniques can be used to provide a specifically tailored treatment to balance each patient’s current condition.